Every child grows and develops in several domains—socially, emotionally, physically, and intellectually—at his own pace. However, there are some predictable milestones at every age that teachers, healthcare providers, and parents can watch to determine any signs of possible developmental delay. Much has been researched, studied and written about creating inclusive learning environments to meet the needs of all children. Teachers know how important it is to plan lessons and activities that match children’s developmental needs. However, there are also a few simple ways to adapt classrooms and homes that will help children with special needs! 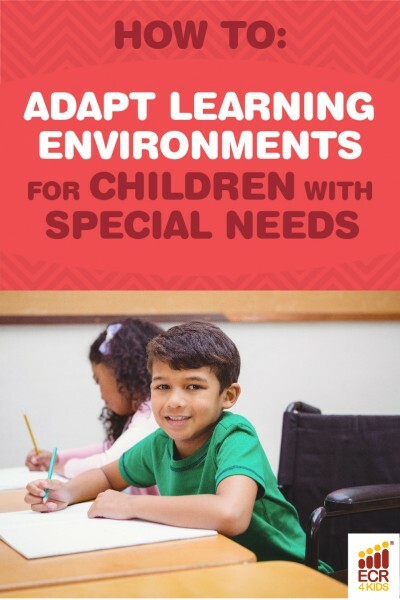 Children with a learning disability, speech or language disorder, hearing or visual impairment, physical disability, autism spectrum disorder (ASD), attention deficit hyperactivity disorder (ADHD), or other types of impairments may need special accommodations or modifications in the classroom. One of the best ways you can support children with special needs is by changing the classroom environment to increase children’s participation in activities. Accommodating and modifying the classroom environment can help children be successful learners and active participants in classroom activities. A quiet, private space for play may help an overactive child. A child with poor vision may benefit from an extra lamp in the play area. Removing a rug that slips will help a child who has trouble walking. Read on for some ideas for small changes that make big differences in any learning environment. Alternative seating arrangements. This is a great way to support children with disabilities. You can have them sit near you or a peer buddy, in a quiet area of the classroom, or provide an alternative seating option that will help them focus in class. Rearrange the layout of the classroom. Simply move furniture to help children with special needs move more easily around the classroom. Limit visual clutter on walls. This can help reduce distractions for children with autism or ADHD. Play soft music throughout the day. This helps with sensory stimulation. Adapt furniture. Hopefully, your classroom has furniture that is easily adjustable. Use heavy, stable furniture and equipment that cannot be easily knocked over. Use pegs to adapt handles on doors, shelving, coat racks, backpack areas, and puzzles. This helps children with a cognitive and/or developmental delay or a physical impairment gain confidence. All young children who are in early care and education have the right to experience settings, relationships and interactions that will support and further their development and learning. Young children with disabilities have both the need and the right to participate in and benefit from the same experiences as their peers without disabilities, including access to the same everyday contexts and opportunities for development and learning. Remember that children with special needs are children first, and have more similarities than differences from children without disabilities. Every child has a unique personality and special skills. Keep your primary focus on each child’s strengths and abilities as you work to make modifications and adjustments. Look for strengths as well as needs. Every child deserves to feel successful and capable. Looking for more ways to boost your child’s education and create a great learning environment? Check out other ECR4Kids blog posts, and take a look at some of our great classroom furniture, organizational products and more on our website! 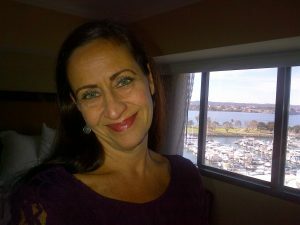 Lisa M. Lasky is the Senior Director of the National Equity Project. She has worked in education for over 25 years as a teacher, leader, school and district coach, and has led several organizational/system change projects across the country. She is a founding director of the National Equity Project, based in Oakland, CA, and has served in many roles including Associate Director, Director of Elementary and Middle Schools, Director of the School Grants Program, and Deputy Director. She currently leads NEP’s Leadership Development and Coaching Division – overseeing support and services to a portfolio of clients from California to Mississippi to Washington, DC. Lisa holds a B.A. in Sociology and English from the State University of New York, College at Cortland and an M.A. in Education from UC Berkeley.